It’s that time of year! I can hear the crunchy sound of fallen leaves under my feet as I go for a stroll and breathe in the crisp air – it’s Fall! This means saying goodbye to iced coffees and hello to spiced lattes, hot chocolates and all things warm and cozy. 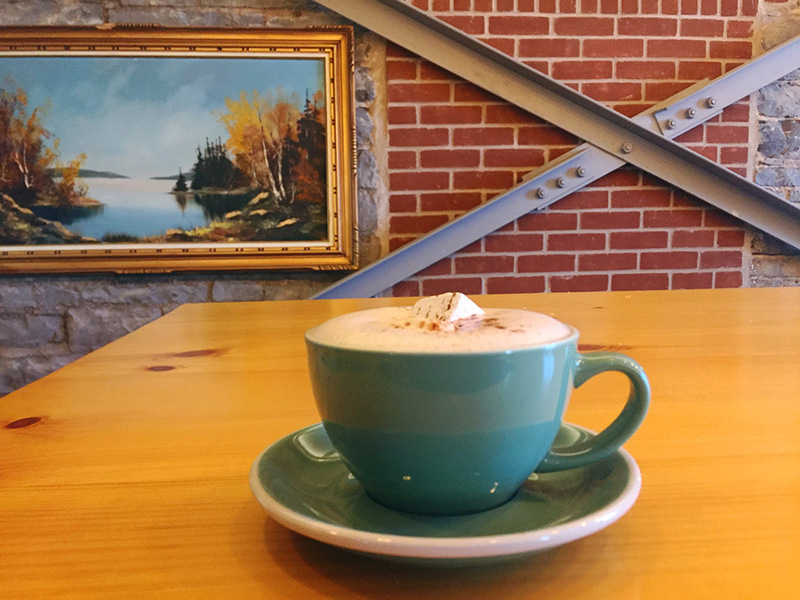 To help you embrace this beautiful season, I’ve rounded up some of the most delicious hot beverages in Kingston to curl up with this Fall – all produced by locally-owned vendors. 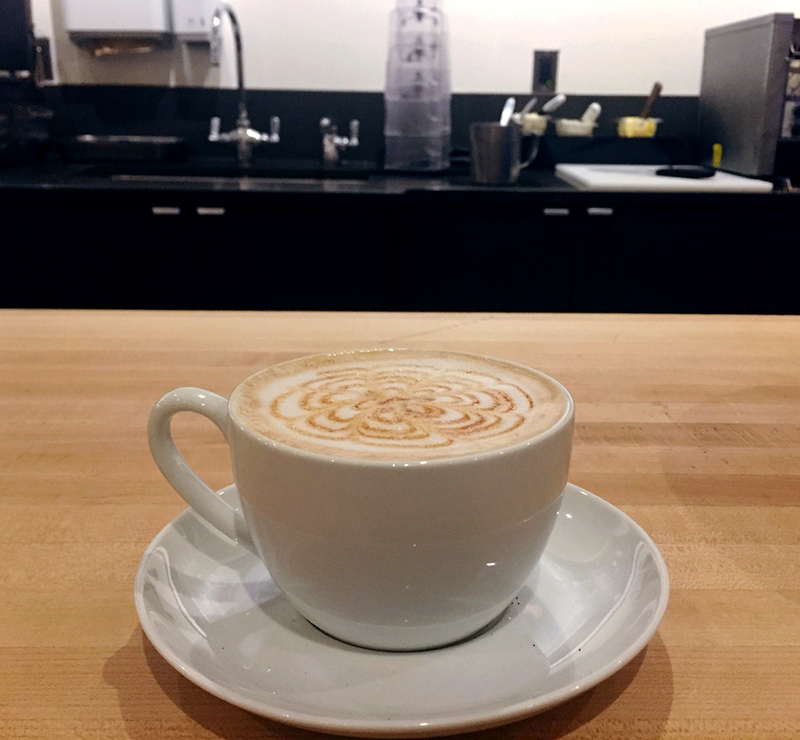 When I arrive at Sipps, this charming little cafe adjacent to Springer Market Square on Brock road, I see there are plenty of fall specials to choose from – so I chat with barista Derek about the most popular pick. He suggests the white pumpkin hot chocolate. I am a little skeptical at first but after a sip I warm up to the idea. It’s sweet – only slightly chocolatey – nothing like I’ve ever tried before. I enjoy it with a dusting of cinnamon on top. 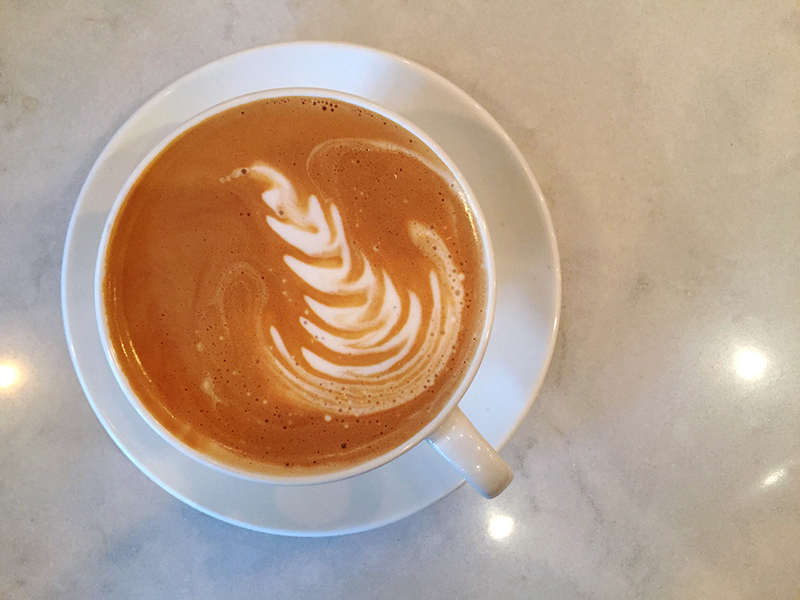 I test this latte from The Elm Cafe out on my husband, an avid plain coffee drinker, who doesn’t even take sugar in his cup of joe and doesn’t enjoy peppermint – and he likes it! The peppermint is subtle and not too sweet. 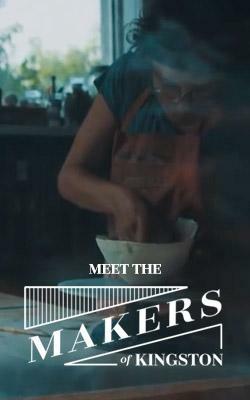 Co-owner Logan is behind the counter when I order and admits that they make the syrup in house which explains the subtle sweetness. It’s light and flavourful without masking the coffee. 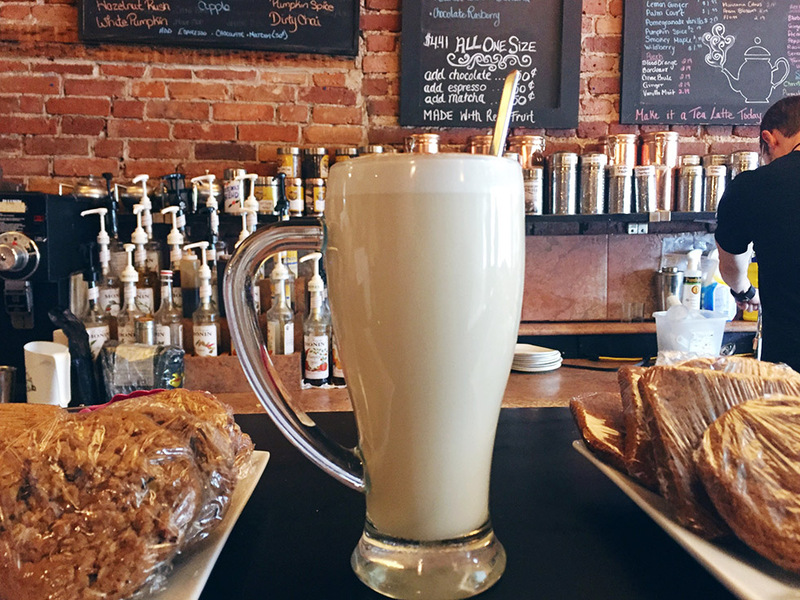 I recommend this latte for those who enjoy coffee and want a change from the everyday double double. Who doesn’t love hot chocolate on a chilly day? The hot chocolate at Juniper (located in the Tett Centre) is a crowd favourite, especially with kids. The not-so-secret secret to this chocolatey treat are the house-made peppermint marshmallows that float atop like sweet little clouds and slowly dissolve into the piping hot liquid leaving light peppermint flavour. 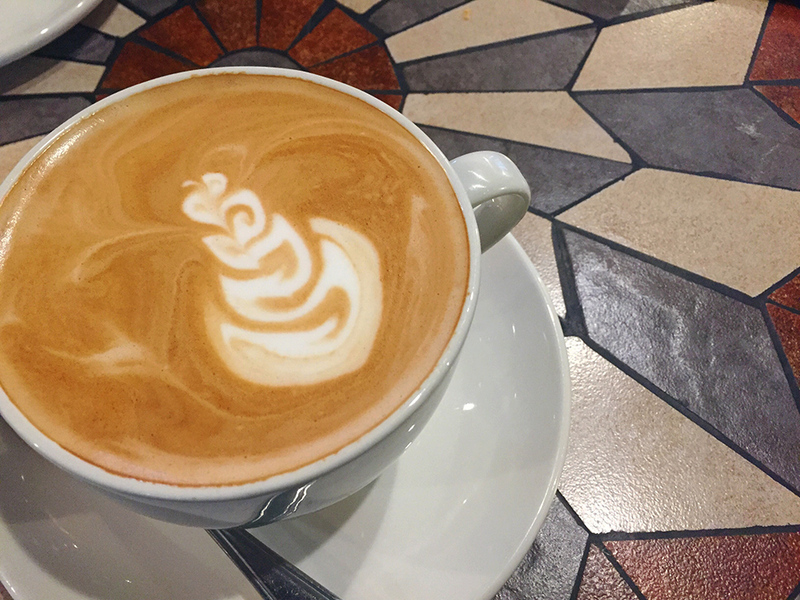 This bustling student hot spot has a few fall specials on the menu but the staff at Crave Coffee House and Bakery agree that the caramel apple latte is the most popular choice. It’s easy to see why! The drizzle of caramel on top is my favourite part. I wouldn’t say this is an everyday pick but definitely perfect for a treat yourself moment! Where are my Nutella lovers? 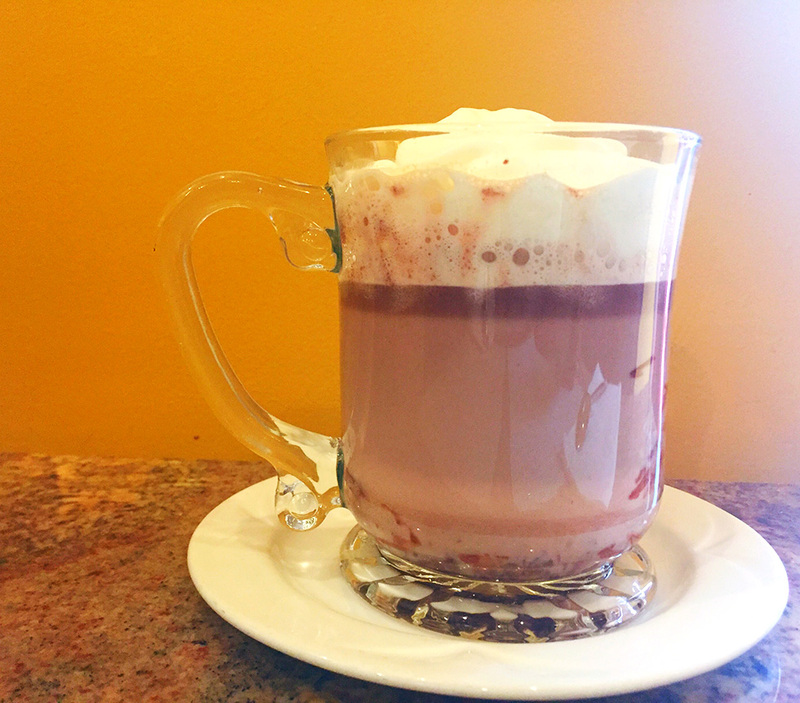 You’re going to give this cup of hot chocolate from Geneva Crepe Cafe and Bistro all of the heart eye emojis. It’s hot hazelnut goodness! James whips me up a mug topped with whipped cream in between flipping crepes. The strong Nutella flavour along with the savoury smell of crepe batter that wafts through Geneva makes for sensory overload. So good. 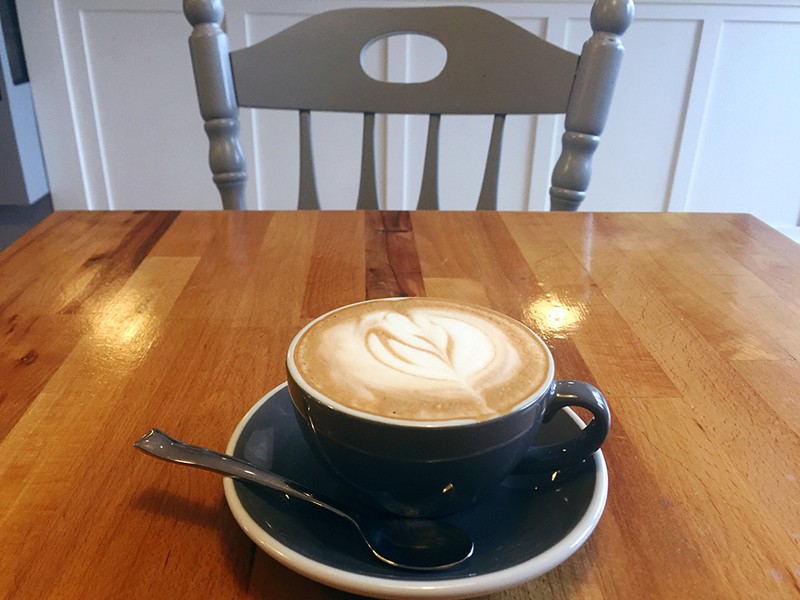 Located across the street from picturesque Springer market square as well as in the plaza where Princess and Bath road meet, Kingston Coffee House Inc. is for coffee lovers. When I ask about the most popular fall drink, I am told it’s the Maple latte. “Probably because there is a shot of espresso in it,” confirms the barista. Makes sense. A friend of mine says it’s perfect because you can still get a strong coffee flavour. The maple is subtle and not too sweet so this would pair well with dessert! The famous pumpkin spice latte! For those who love what has become a fall staple with many an Instagram mention, try the adorable Common Market. It’s the perfect amount of pumpkin and spice and – you guessed it – it tastes nice! In the hunt for the perfect fall beverages I came to the conclusion that most were located downtown. However, after a call to Toast and Jam – one of my favourite local west end spots – I am told they are working apple cider into their menu soon so thought it was worth a mention. Stay tuned!